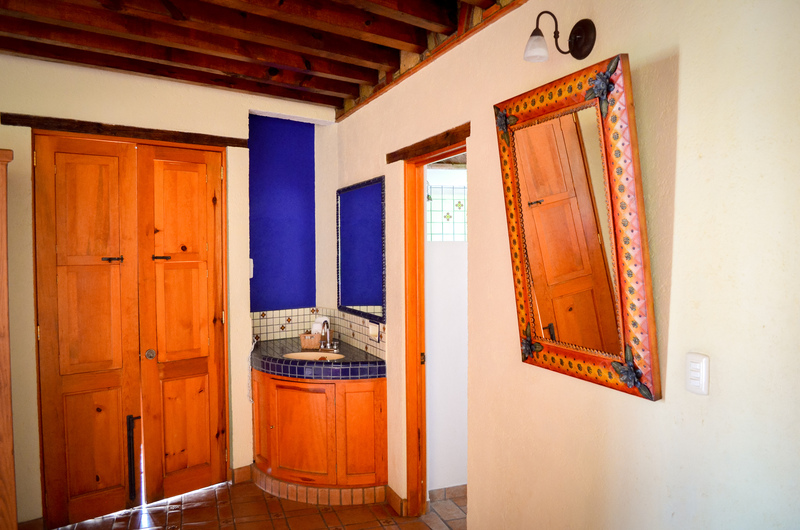 In this 18th century mansion, each room is different from the next in size and decoration, but all feature handmade furniture with wrought iron and elaborate woodwork, and baths with hand-painted tiles done by some of the finest local artists. 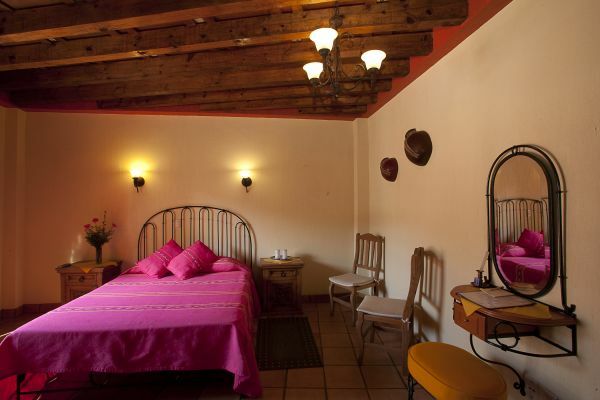 All things combine to create a marvelously comfortable atmosphere. 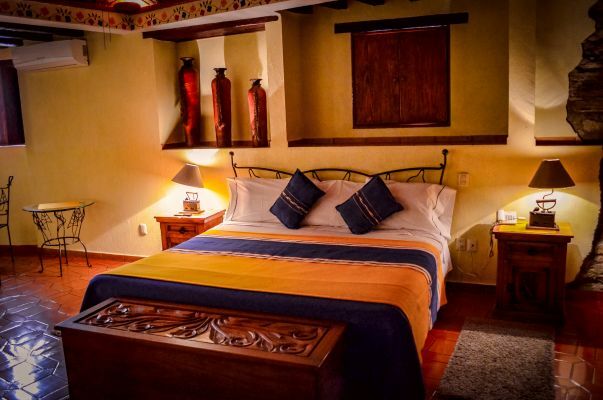 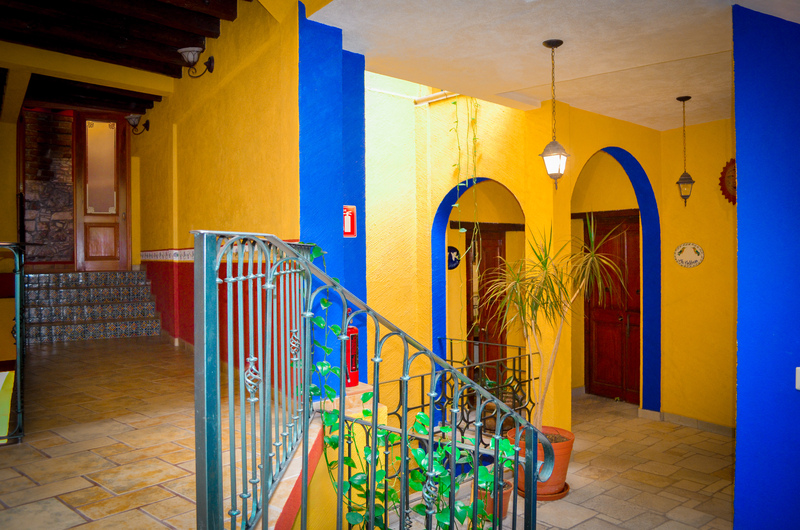 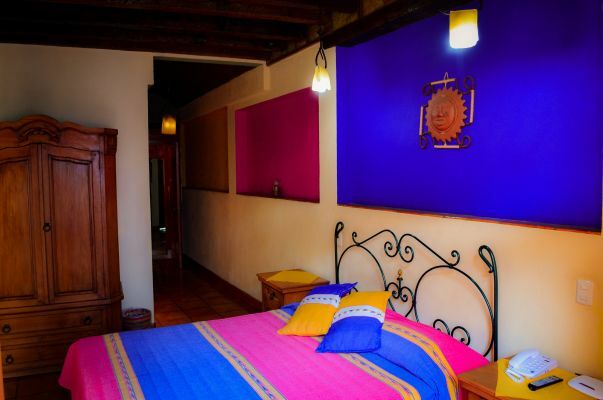 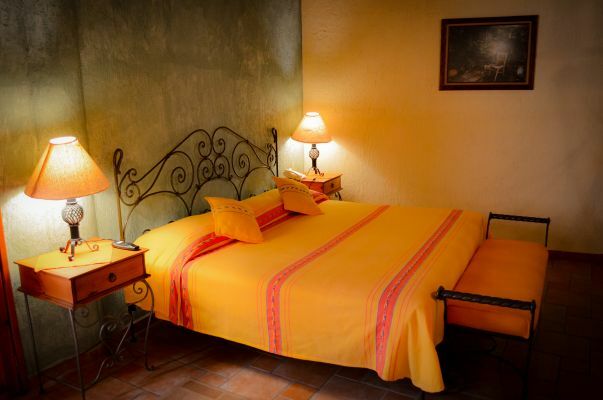 Some of our rooms have balconies over the narrow stone-paved street, giving you private seating to the authentically Guanajuato ESTUDIANTINAS, strolling minstrels who bring song and dance along the street in front of the hotel on weekends and holidays. 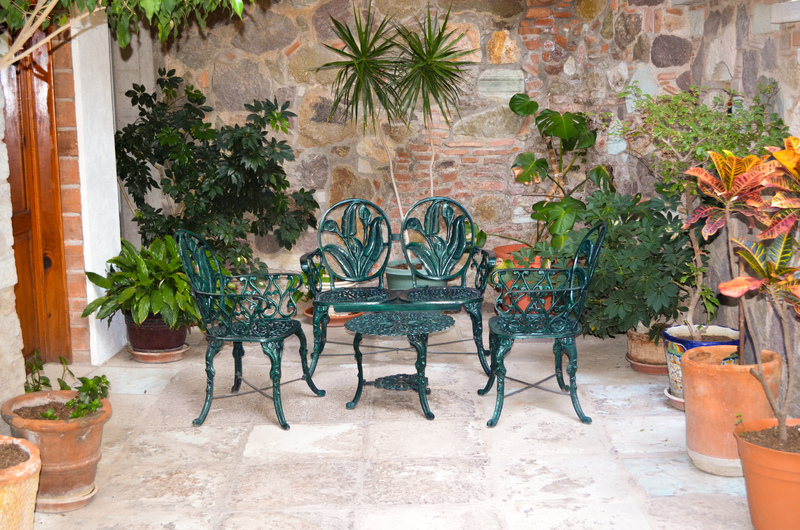 Other rooms have balconies over the quiet interior patio. 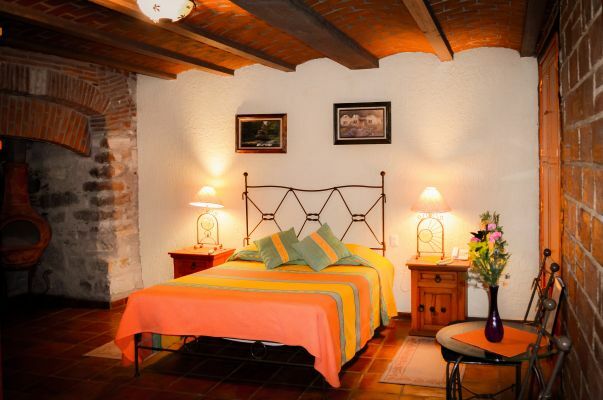 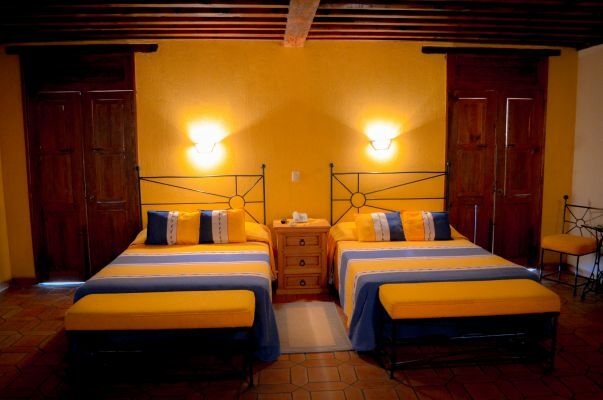 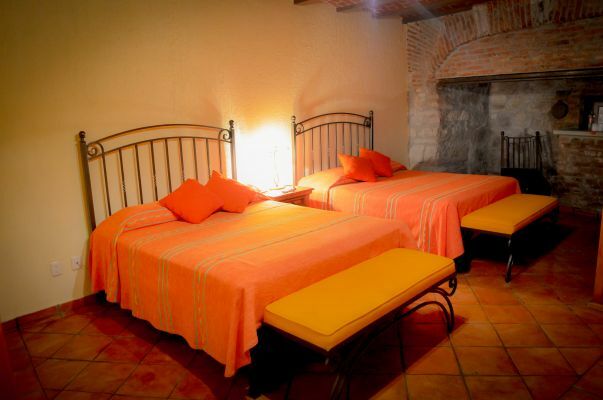 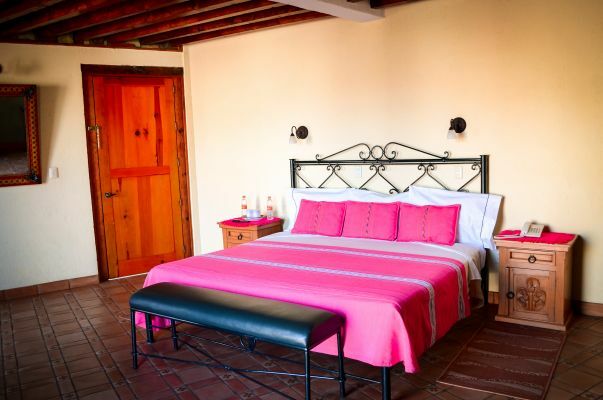 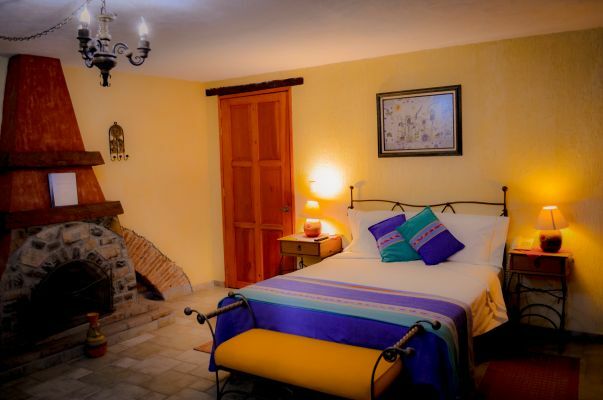 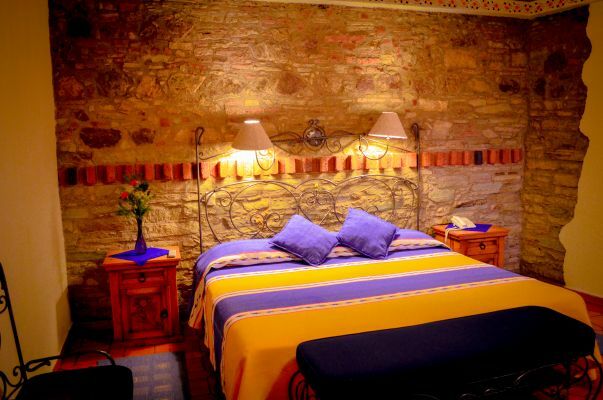 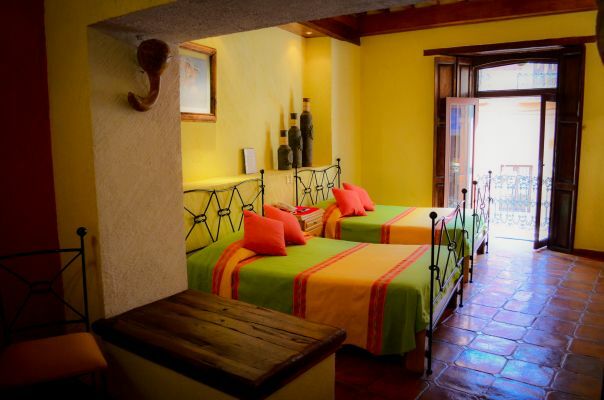 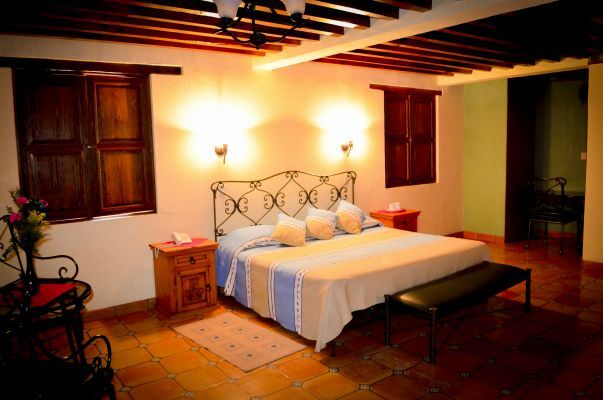 Some rooms are especially peaceful, with chimneys for those who seek rest after a busy day walking up and down Guanajuato's more than 600 alleyways. 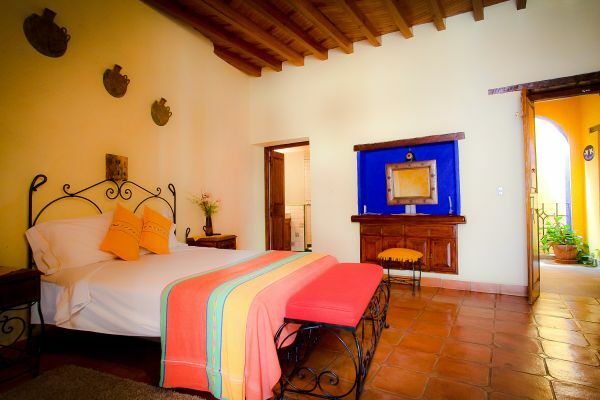 And as a crowning touch, historic pieces grace the walls in several sections of the hotel.